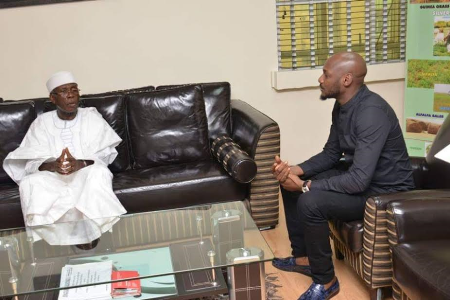 2Face Idibia Pays Courtesy Visit To Minister Of Agriculture, Audu Ogbeh (See Photos). Nigerian musician, 2Face Idibia took some time to pay Nigeria’s Minister of Agriculture, Chief Audu Ogbeh. The meetng held at the Federal Ministry of Agriculture yesterday August 19th. PrevZahra Buhari’s wedding postponed by a week. NextFloyd Mayweather Returns to Action Against Robert Guerrero.